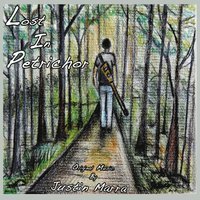 Lost in Petrichor is the long promised third studio album from singer/songwriter Justin Marra. The goal for this album was to get back to a bigger sound by collaborating with as many musicians and friends as possible. Lost in Petrichor reunites Justin with his electric guitars, bandmates Decoteaux and Furtado, and exposes the talents and abilities of friend and collaborator Thom Oz. The project pushes Justin's musicianship, arranging, songwriting, and playing chops to new heights. The mantra for Lost In Petrichor was "loose and relaxed," and the mission was to have fun and make an album that not only sounded great, but told a story. Lost in Petrichor delivers on both fronts. Four years after the release of Raised By Hippies the much promised second studio release from Justin Marra is finally her﻿e. Muse captures a new sound and direction for the artist. While topical in some places (How Much L﻿﻿onger, Stumbling In The Blind) Muse has a personal side (Thank Ya', No Second Chances, Life In The Grey,) and provides a window into the life of a modern day singer song writer struggling to get "it" right. "A little wiser," as No Second Chances professes, and certainly with a sense of humor Muse delivers. The Music of singer/songwriters of yesteryear hadn't meant much to me since I started playing the guitar. The names Taylor, King, Dylan, Costello, Joel, Von Ronke, Diamond, and Simon were forgotten memories. On a sunny fall afternoon in October of 2005 I was driving back to Worcester, MA after what can only be described as a life altering event. I drove the majority of the trip in silence, but then placed A CD [Live At The Gaslight] I'd bought at coffee with my dad into the car radio. "Ain't no use to sit and wonder why babe," were the words that came over the car speakers, "don't think twice, it's all right." I was instantly intrigued. It was like Dylan was speaking directly to me. When I got back to my college dorm room I locked myself inside and began my musical reeducation. I've never looked back. The first tracks for MUSE followed shortly thereafter. Somewhere there along the way I even became a songwriter. Not everyone can pinpoint when it was they grew-up; it usually just happens. For me it was during this process. Shades played the first of his many shows at the Jonah Center in late 2001 while part of the short lived group "Nicco". Brad Logan [of The Jonah Community Center situated at Oakland Beach in Warwick RI] was hosting the first of what became known as the "band jams;" Nicco got into the show, and the rest as they say "is history". Andy Davis of Ataraxis, Shortwave, DR.Corporate, The Universes and now The Pixels began doing live recordings of shows at Jonah in late 2002 just as Justin was striking out on his own for the first time. He captured many of those early shows, and the recordings continued into 2005. It had been over two years since "Hippies" had been released and it was time to get something new out to the people. Working with Andy at Dr.Corporate Studios the two toiled for two weeks collecting the best tracks from across what Justin called "The Jonah Era". The Jonah Era captures live recordings from the early days and some more recent memories. This was the first ever collection of live recordings from Justin and shows the progression of his musicianship, singing, and songwriting culminating in Back to the Gale. This studio track was recorded at The Old Mill House Studios in 2004, but remained unreleased until The Jonah Era. A different version of Back To The Gale ultimately became the first track on Muse, which was the follow-up studio album to "Raised By Hippies". Sadly as all things must do the Jonah Era came to an end in 2008. The Community Center in Oakland Beach, RI remains open today, but under a new direction. Justin's first studio release "Raised By Hippies" is 38:43 of soulful honest music. The album consists of ten songs on nine tracks, eight of which are studio, and one live. All the songs on the album are written and performed by Justin himself, with the exception of track 9, "Rockin' in the Free World(Neil Young)"/"Cats in the Cradle(Harry Chapin)" featuring Mark Clifford on drums, and Jonathan Caito on bass (recorded live at Jr's Rock House). A mainly acoustic project the album does feature four electric tracks "Raised on Rock," "In The Shadow of The Royal" "Cowboy Style(Ride)," and "What Happened To The World." It's hard to believe it's been ten years since Raised By Hippies was released. Reflecting on the project fills me with a great sense of accomplishment, and humility. I barely recognize the child on the cover that was setting out to conquer the world; I was going to be a rock star. I never wanted to be a musician or a songwriter or an artist. Today I am all of those things and more. Listening to Hippies after ten years is an interesting experience. Some of those tunes still hold up today, others...well, I tried! Their all now part of my story, and have a place whether on the stage, or in my heart. Thank you to all who indulged my teenage fantasies and delusions of rock conquest; friends, companions, colleagues, collaborators both new and old, thank you. All content, images, files, and music, etc. housed on www.justinmarramusic.com are property of Justin Marra and cannot be reposted, shared, or downloaded with out explicit written permission.